The Maulana had a unique and individual style, be it in oratory or in writing. That was why he could render the Holy Qur'an in easy language, and explore the nuances and secrets of an eloquent work like the Nahj-ul-Balagha with such facility. He had a special status in discussing intricate doctrinal and contemporary issues in understandable language with the younger generation. The Maulana is no longer with us today, but the seekers-after of knowledge and the spiritually-inclined will remember him for long. 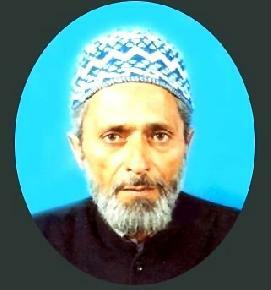 Born in Srinagar on March 21, 1945, in the scholarly family of the Ansaris, the Maulana had his preliminary schooling in the valley, and after a brief stint in Lucknow, went to the highest seat of Islamic learning in Najaf, Iraq in 1963, where he studied under such illustrious figures as Ayatullah Syed Mohsin-al-Hakeem, Martyr Ayatullah Syed Muhammad Baqar-as-Sadr and Ayatullah Syed Abul Qasim-al-Khoi. The rigorous fields of Islamic jurisprudence (ilm-al-fiqh and usul-al-fiqh), tafseer, philosophy and history where his areas of study. After his return from Iraq, the Maulana shunned the traditional mode by which the ulema made a living those days, and sustained himself by working as businessman. He also avoided the attire of the traditional ulema, and would dress as an ordinary person, as he would often say that the conventional garb of the clerics put onerous responsibilities on the wearer as it was reminiscent of the Holy Prophet. Being from a politico-religious family, his foray into politics seemed almost inevitable, and after his return he was jailed for his outspoken advocacy of the rights of Kashmiri people. He had risen to the position of the president of the Action Committee during the Holy Relic movement. But gradually, he distanced himself from the hurly-burly of politics after witnessing its degeneration and devoted himself to scholarly pursuits. The Maulana has about 40 erudite works to his credit, among them a commentary on the Holy Qur'an, both in Urdu (Minhaaj-ul-Qur'an) and in Kashmiri (Misbah-ul-Quran) the latter being unpublished except for the first two chapters titled Kashf-ul-Aneeq-fi-Sharh-e-Qanoon-al-Ameeq. The first-ever Kashmiri translation and commentary of the Nahj-ul-Balagha is another of his noted achievements. The Maulana has also penned down the biography of the Blessed Prophet, pbuh, (Aftaab-e-Nabuwwat, 2nd edition 2006), his first work after his return from Iraq, and the life of Hazrat Imam Hussain, AS, (Qateel-e-Nainava) which was published after he passed away. Maulana Mustafa also made his mark as a novelist, publishing three highly successfull historical novels (Inteqaam, Qabeelah, and Saazish) based on events in the tumultuous course of Islam. Some of his well-know books include Aakhri Tabassum, Mujrim, Al Meezaan, Khayaban, Islam Mein Haq-e-Talaq and Mere Jigar Ka Lahu. His final work, Rakht-e-Safar, which he wrote two years before his passing away, deals with a human-beings preparation for the last journey. As if to signify that his time was near, the Maulana had concluded his long tryst with the world of thought and letters with a treatise on the hereafter. In his last years, well before he fell ill, the Maulana could be seen mostly in remembrance of the Divine, and his concern for the ‘life after' found utterance in verse - the poetic side of his versatile and multi-faceted personality coming to light only after his death. The as yet unpublished compilation of his verse – which was gathered from his close associates who had heard him recite – has appropriately been titled Safar-e-Nataam (Incomplete Journey) for the achievements his admirers still expected of him.